Close-up man's hands puts the burgers on the plate. 4k00:21Hungry woman eating juicy cheeseburger. Fast food, snack, burger. 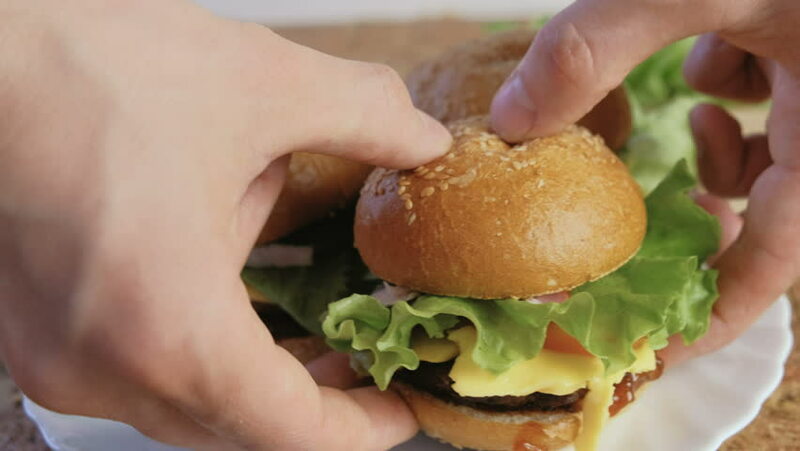 4k00:08Close-up man's hands puts the burgers on the plate. 4k00:18Adult man eating a nourishing hamburger. Junk food. Close-up.